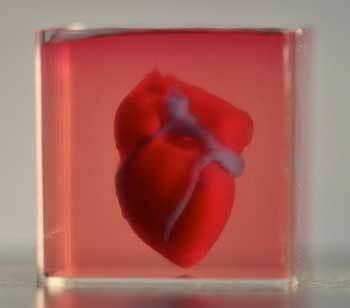 (Nanowerk News) In a major medical breakthrough, Tel Aviv University researchers have "printed" the world's first 3D vascularised engineered heart using a patient's own cells and biological materials. Their findings were published in a study in Advanced Science ("3D Printing of Personalized Thick and Perfusable Cardiac Patches and Hearts"). Until now, scientists in regenerative medicine -- a field positioned at the crossroads of biology and technology -- have been successful in printing only simple tissues without blood vessels.